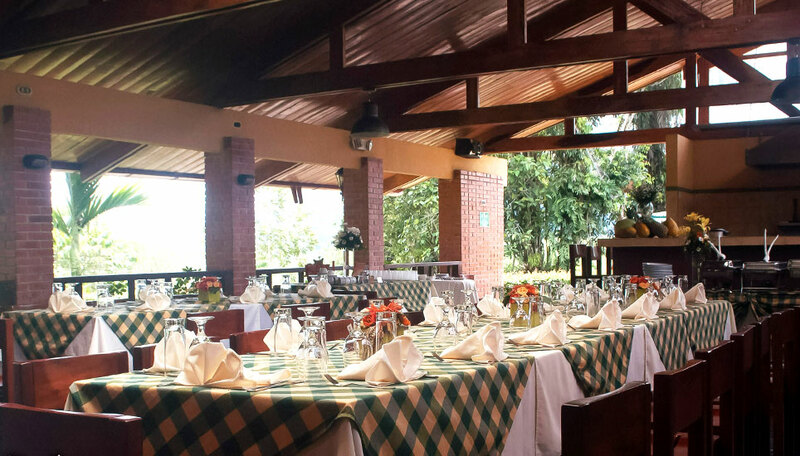 A haven in the picturesque Turrialba area, surrounded by sugar cane plantations. Villa Florencia is open year round. This simple and comfortable small hotel is found in an area of stunning beauty, surrounded by sugarcane plantations and rich vegetation. From the lodge grounds you can see out to the green foothills and the mountains beyond. 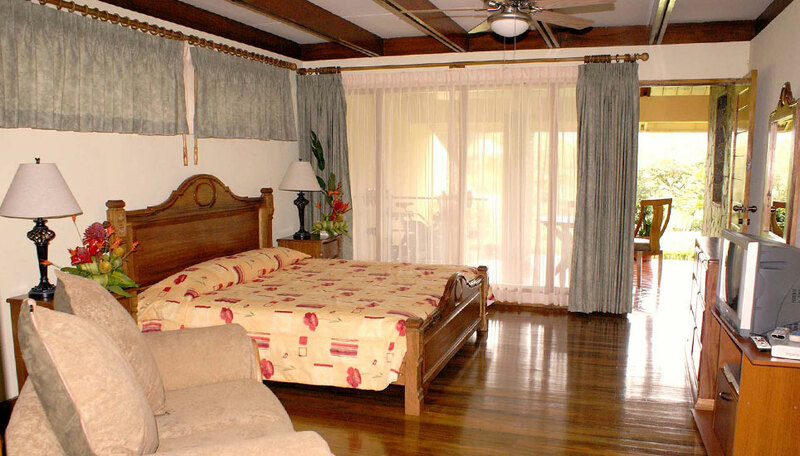 The rooms are all tastefully decorated with locally crafted wooden furniture. Each room has a balcony or outside seating area where you can sit and enjoy the gardens and totally relax amidst nature. The main building houses the restaurant, open on one side, allowing the feeling of being amongst nature to continue. Wholesome meals are served here either buffet style or à la carte. 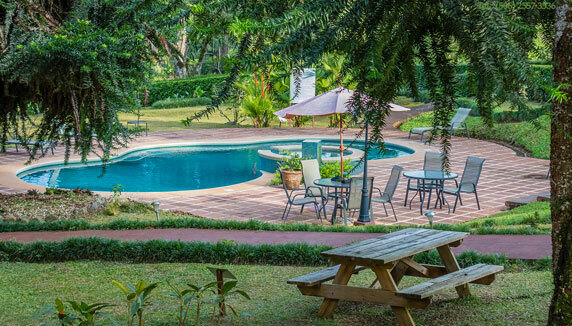 Relaxation opportunities are a plenty, there are board games for you to enjoy, hammocks dotted about and a comfortable lounge area too, then there is the swimming pool with Jacuzzi for a change of scene. Why go to Villa Florencia? This simple and comfortable small hotel is found in an area of stunning beauty, surrounded by sugarcane plantations and rich vegetation. From the lodge grounds you can see out to the green foothills and the mountains beyond. The rooms are all tastefully decorated with locally crafted wooden furniture. Each room has a balcony or outside seating area where you can sit and enjoy the gardens and totally relax amidst nature. The main building houses the restaurant, open on one side, allowing the feeling of being amongst nature to continue. Wholesome meals are served here either buffet style or à la carte. Relaxation opportunities are a plenty, there are board games for you to enjoy, hammocks dotted about and a comfortable lounge area too, then there is the swimming pool with Jacuzzi for a change of scene. 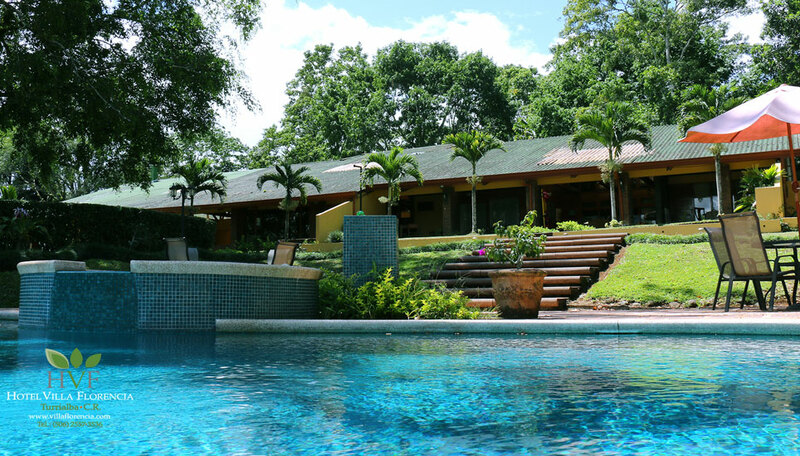 Villa Florencia prides itself on offering comfortable accommodation that is as self-sustainable as possible. The idea is that you enjoy your stay and the surrounding area knowing that you are leaving as small a footprint as possible. The staff here are friendly and very knowledgeable about the surrounding area and will happily share this knowledge with you. Turrialba is simply stunning. 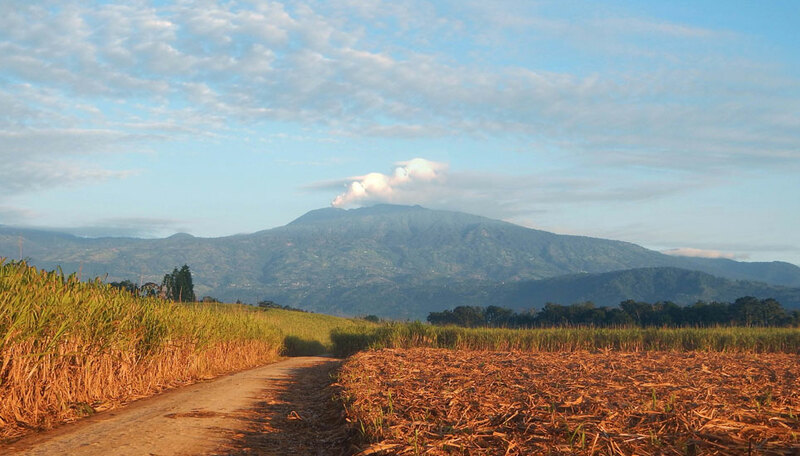 The sugar cane plantations, coffee farms and verdant vegetation make this another beautiful part of the country. This area lends itself to hiking, relaxing, horse riding and also the excitement and thrill of white-water rafting on the Río Pacuare, also nearby is the Guayabo archaeological site, the remains of a pre-Colombian city – what’s not to like? In the hotel gardens, you will see plenty of local birds. Costa Rica is blessed with a huge array of birdlife, so wherever you are in the country you will always have wonderful bird sightings. Venture out of the hotel and you can explore more wildlife in the surrounding area where you might happen upon armadillos, racoons, even vipers. You can also see stunning butterflies and orchids, adding to the colour palette. 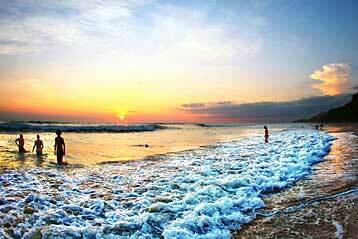 The rich landscape is diverse and hundreds of species of birds, plants and animals can be found here. Each room has a two queen size beds, en-suite with hot running, hairdryer, iron and TV. A hearty and healthy local breakfast is included in your stay. Villa Florencia has a total of 21 rooms. They cover standard, family, superior rooms and a master suite. Standard rooms (7) – these rooms are simply furnished and very comfortable. Each has an en-suite bathroom, TV, hair dryer and iron. The floors are wooden and wood panels adorn the walls. The rooms are clean, light and the soft furnishings are in soft, muted tones. Each room also has an outside seating area looking onto forest or gardens. Family room (1) – this spacious room is perfect for a family of 4. Built on a two levels, there are two queen size beds on the ground floor and one queen and a single on the second floor. Furnished with comfortable wooden furniture, crafted locally, the room is finished off with crisp linens and muted colourful accents in the soft furnishings. Superior rooms (12) – more spacious than the standard rooms, these again feature fine, crafted wooden furniture. The bathrooms also have bathtubs, great for relaxing and enjoying the peace and quiet of the area. The superior rooms all have a plasma TV and also a private balcony with seating for you to enjoy the vistas. Master suite (1) – The cozy master suite has everything you would expect – including a bathroom equipped with a Jacuzzi. The suite is spacious and uncluttered, the furniture is locally crafted. The sliding doors lead to a private outdoor area with seating for relaxing and taking in the sights and sounds of your surroundings. Children are welcome at Villa Florencia, child rates are available. WiFi is available here, there are also telephones for making local and international calls.